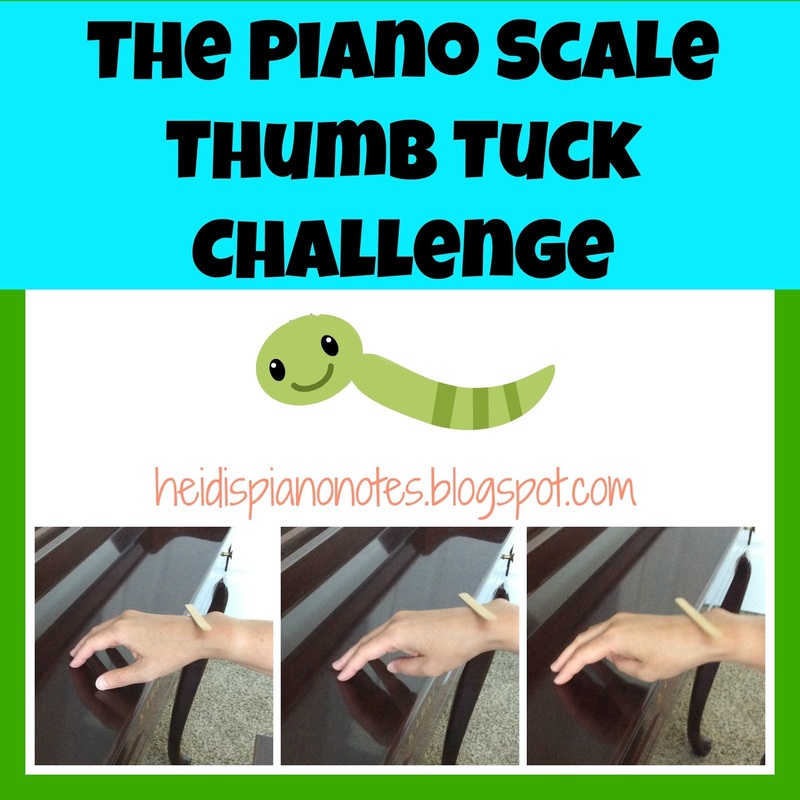 Last week I introduced the "Can Can" to one of my piano students with a focus on playing even one-octave scales without a wrist bump. I started with a daring challenge that really intrigued him. I asked him to try and crawl his hand up slowly all the way across the fallboard using thumb tucks while balancing a popsicle stick on his wrist before the video on this song ended. After a couple of failed attempts, he really slowed down, focused and got just inches from the end before the stick fell. He was eager to keep on trying, so I sent the stick home with him so the Thumb Tuck Challenge wouldn't overtake all of our lesson minutes! And the bonus was, he became familiar with his song at the same time. 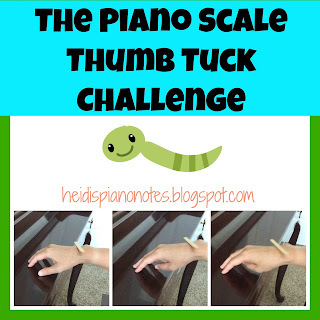 For more fun activities that prepare students for proper technique motions at the piano check out this post that combines several techniques including thumb tucks into one quick activity.